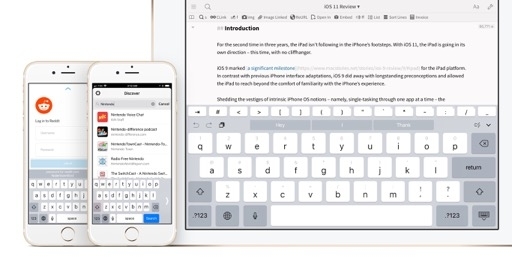 Apple has been struggling to keep the iOS setup experience as lean and intuitive as we’d expect from mass-market mobile computers. 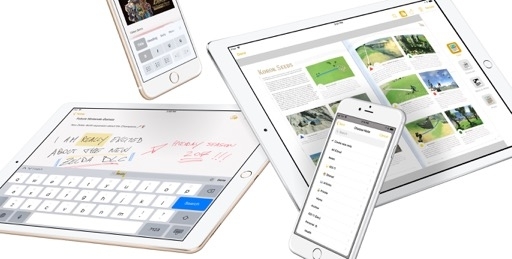 As new features have been added to the iPhone and iPad year after year, the initial setup process has been steadily accumulating steps required to log into a functioning, fully personalized iOS environment. There’s irony in a setup process that needs an instruction manual. 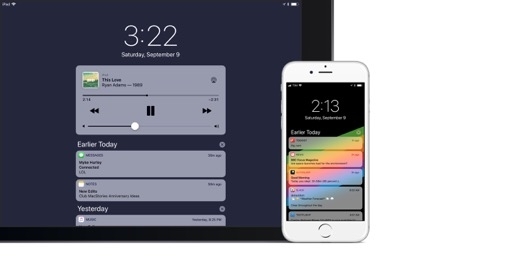 For the first time in years, Apple is using iOS 11 to test a streamlined, smarter setup process. 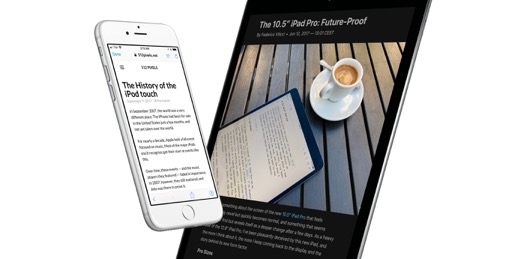 It’s not a panacea for iOS’ first-run woes, but the company’s attempt is surprisingly well thought-out and convenient. 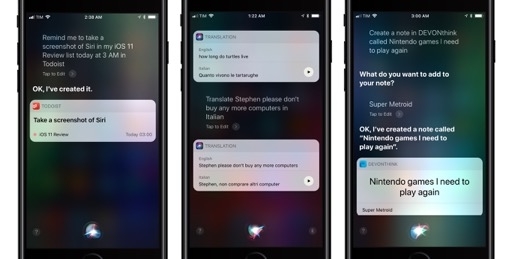 Apple is reducing the configuration screens and cognitive load of the iOS 11 setup process with two new features: Automatic Setup and Express Settings. 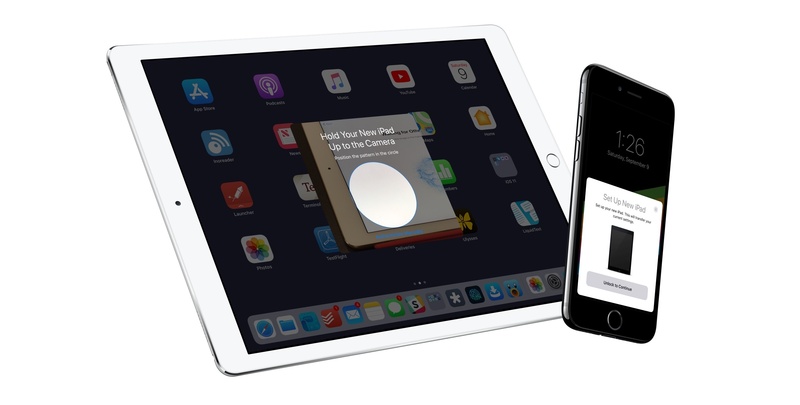 Continuing to build upon the near-field setup cards introduced with Apple TV and AirPods in iOS 10, Automatic Setup allows you to securely import user account settings and preferences from nearby iOS devices or Macs. According to Apple, these include iCloud Keychain and “many of your personal settings”, which in my experience were my Apple ID (iCloud account), App Store Apple ID (if different from the main one), and a subset of system preferences. 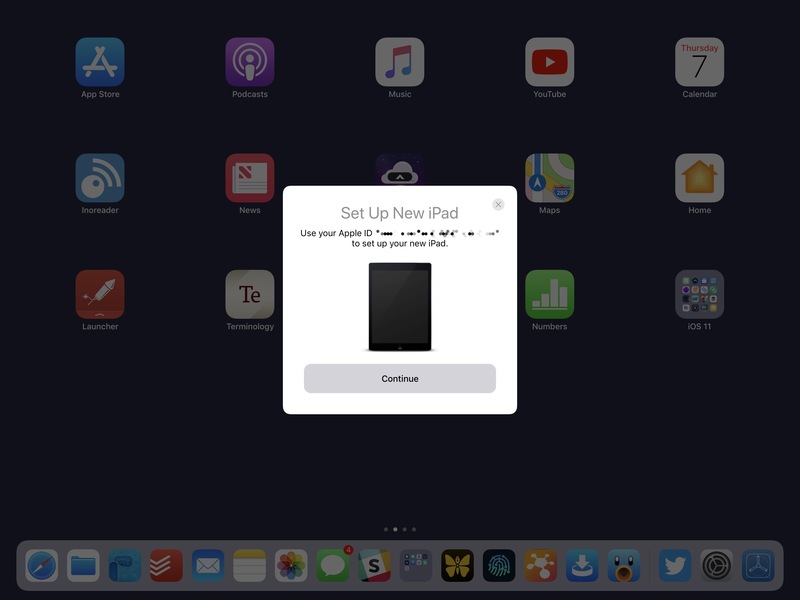 For Automatic Setup to work, both the source device and the target need to be running iOS 11 (or macOS High Sierra if you want to test the functionality with a Mac). This means you won’t be able to try Automatic Setup if you only have an iPhone you’ve just updated to iOS 11; you’ll gain the option when setting up other iOS 11 devices later. An existing device can transfer your settings to a new one nearby in iOS 11. At the beginning of the setup process, you’ll be asked if you want to use a nearby iOS device to sign in automatically, or continue with manual settings. Choose the former, and the destination device will show an animated pairing graphic similar to watchOS’ counterpart. 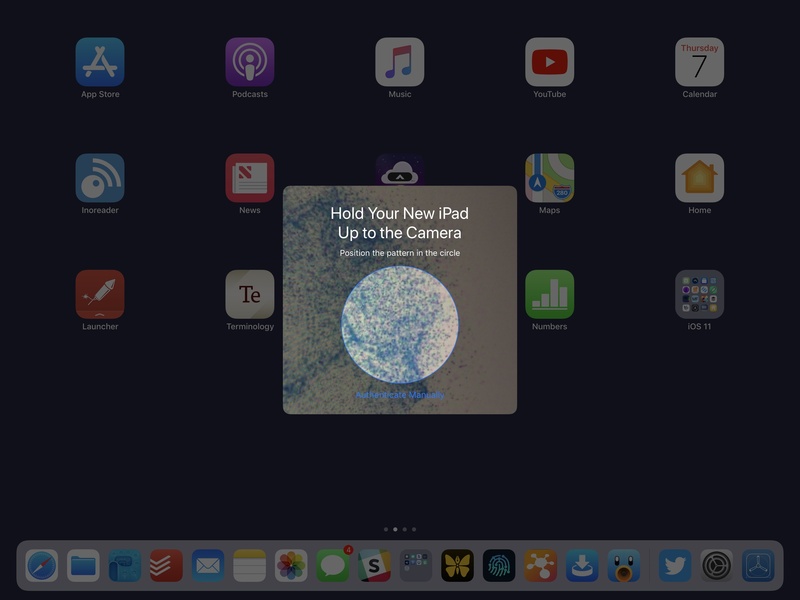 Then, hold the source device near the target, scan the animated code with the camera from a popup card, and sit back (leaving the devices next to each other) as your settings are transferred to the new iOS 11 device. The animated code is used to pair the source device with the destination one during Automatic Setup, like an Apple Watch. 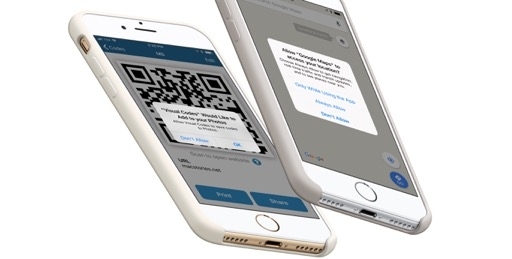 The process may take a few minutes, during which you’ll see a loading spinner in the card displayed on the source device and a variety of password prompts to authenticate with your Apple IDs. Your account information is encrypted with the passcode of the source device that is transferring information to the new one. As you enter the passcode, it’ll also become the passcode of the new device. 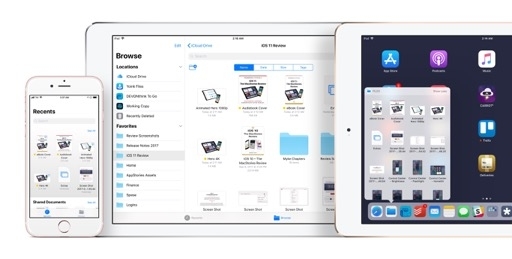 It’s important to note that Automatic Setup does not equal restoring from a backup – it’s just a better, quicker way of importing personal settings from another iOS device. But, Automatic Setup is so convenient (and even fun), I wish Apple had gone the extra mile to configure more options and settings with it. Wouldn’t it be great, for instance, to transfer calendars and email accounts with Automatic Setup? Wouldn’t it be nice to import every single preference from Settings? 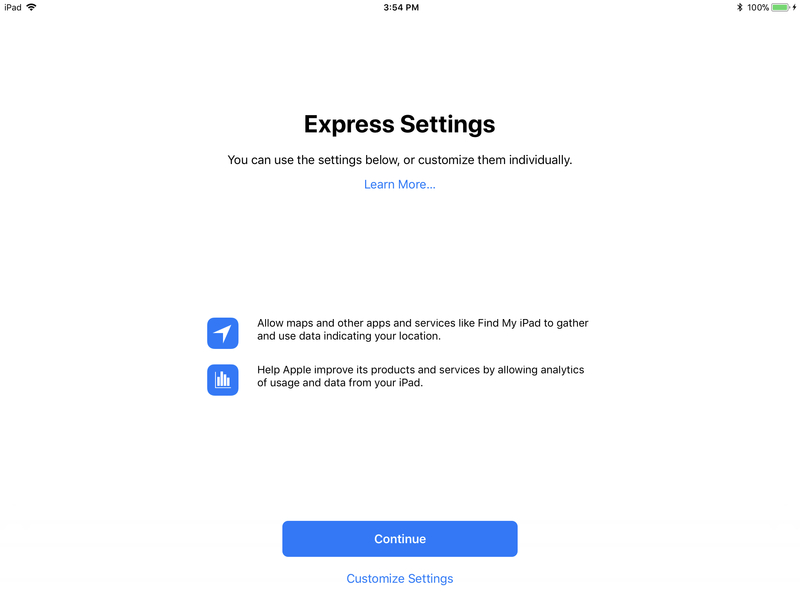 Express Settings, on the other hand, is the iOS setup equivalent of agreeing to terms and conditions with a simple Yes because going through each setting would take too much time. With Express Settings, Apple has clustered a couple of recommended settings in a single screen; a Continue button enables them by default. You can tap and move on with setup, or, if you want more control, revert to the old process and customize each individually. These settings make sense from a security and data collection perspective. If you agree with the selection proposed by Apple, iOS 11 will enable Find My iPhone with Activation Lock, location services, and analytics. It’s a win-win for everyone: Apple opts more users into anonymized usage analytics, feeding their Differential Privacy engine with more data; and users end up with an essential security setting enabled at setup. Overall, I’d argue that more iOS features should be listed in Express Settings or imported with Automatic Setup going forward. Both options only remove a couple of steps from iOS 11’s setup. 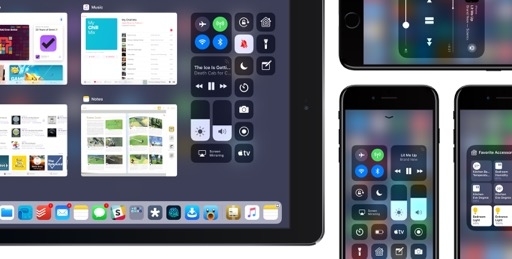 Automatic Setup in particular is a limited, yet welcome addition to the iOS setup flow; it’ll be fully appreciated next year, when most users will have updated to iOS 11. 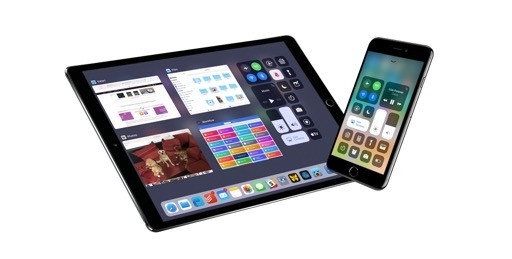 Apple has decided to clean house with iOS 11, wrapping up its 64-bit transition across the board – a move that has been on the horizon since the iPhone 5s and its 64-bit A7 chip. iOS 11 only runs on modern 64-bit devices and doesn’t support legacy 32-bit apps. There probably isn’t a foolproof way of handling such a massive change at scale without causing some issues for developers and users, but, thanks to Apple’s repeated hints over the years, iOS 11’s switch to 64-bit is the best case scenario we could have asked for. In terms of hardware, iOS 11 supports devices with an A7 SoC and above. This means every iPhone since the iPhone 5s, iPad models starting with the Air and iPad mini 2, and the lone 6th generation iPod touch. Unlike iOS 10, the iPhone 5, 5C, and fourth-generation iPad can’t be updated to iOS 11 as they don’t carry a 64-bit A-series chip. 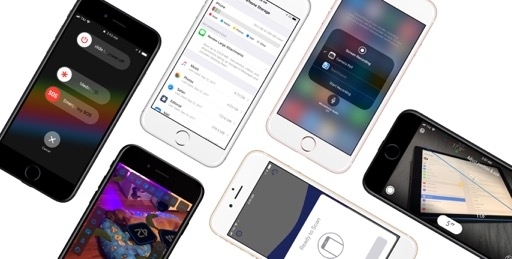 Including this year’s iPhone models, a total of 22 devices can receive the iOS 11 software update. Devices that can be updated to iOS 11. 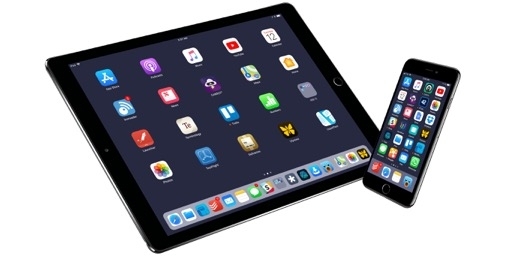 The consequences of this year’s more stringent hardware requirements shouldn’t be as traumatic for users as iOS 10, which abandoned (after several years of service) the popular iPad 2, first-generation iPad mini, and third-generation (Retina) iPad. Going through the iOS 11 compatibility checklist is easier than ever: if you have an iOS device with a 64-bit chip, you can upgrade. 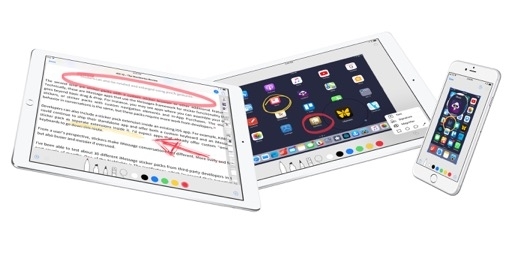 As for Apple’s grand unification of the modern iOS family: every device in the iOS 11 lineup now has a Lightning connector, a Retina display, and a 64-bit chip. 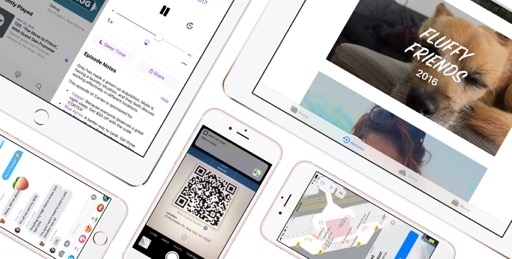 It’s going to take several years until features such as True Tone and ProMotion become standard among iPhones and iPads; Apple Pay support everywhere feels like a more attainable goal in the short term. At this point, the iPad Air, iPad mini 2, and iPhone 5S are the only supported devices that don’t ship with native Apple Pay integration. I wouldn’t be surprised if iOS 11 is the last major software update they’ll ever see. The transition to 64-bit is more interesting on the software side. 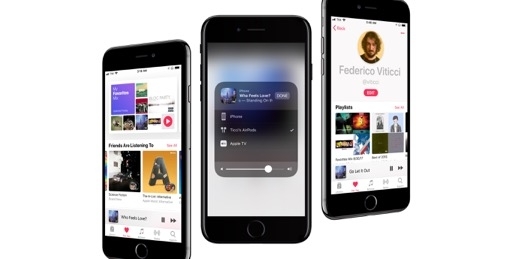 For the past three years, Apple has been strongly advising developers to update their apps for 64-bit architectures – first with iTunes Connect submission requirements, then with warnings displayed upon launching 32-bit apps – culminating in the announcement of a major cleanup of the App Store to get rid of abandonware. The writing for 32-bit apps has been on the wall since 2014. Still, there are going to be unpleasant side-effects, particularly for users who aren’t well versed in Apple news or don’t pay attention to any popup message whatsoever (or don’t know what 32-bit means in the first place). 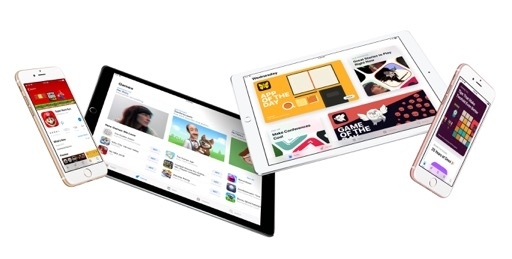 Apple is trying to ensure a smooth user transition to 64-bit apps in two ways. 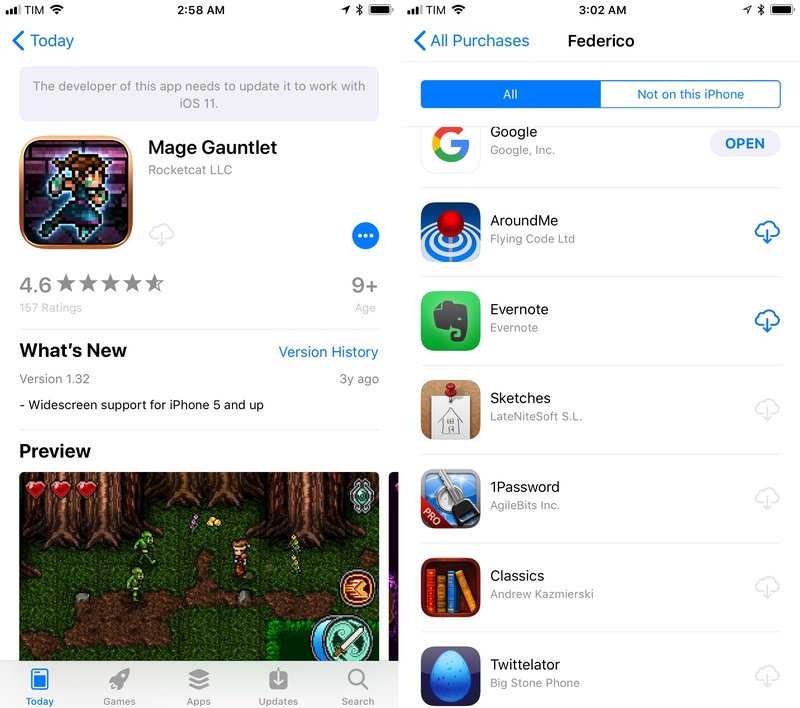 On the App Store, apps that haven’t been updated for 64-bit are still listed, but they don’t appear in search results and can only be found either via a direct iTunes URL, by browsing the (revamped) developer profile pages, or in your account’s purchase history. Legacy apps do not offer a download option anymore and sport a message at the top of the product page that says “The developer of this app needs to update it to work with iOS 11”. If you try to purchase a bundle that contains both 32-bit and 64-bit apps, iOS 11 displays a confirmation prompt to warn you of 32-bit apps contained in the bundle that won’t be compatible with your device. A listing for a 32-bit app on the iOS 11 App Store (left) and legacy apps in your Purchased history. iOS 11 takes more drastic measures for 32-bit apps that are already on your device and that you’ve kept installed despite past warnings. Where iOS 10 would preemptively inform you of 32-bit apps’ uncertain future and list them in a special section of Settings, iOS 11 does away with launching those apps altogether. You can leave a 32-bit app on your iOS 11 device’s Home screen, but it’ll be useless – a reminder of a bygone era from a developer who’s no longer updating it. All you can do is look at its icon and cherish the memories. Launching a 32-bit app on iOS 10 (left) and iOS 11. 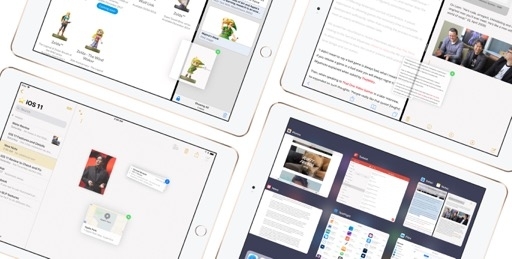 While this transition is the most reasonable move from Apple, and even though we knew this was going to happen sooner or later, it is sad to realize that thousands of titles – including excellent legacy apps and games – will disappear for future generations of users as if they never existed. And it’s painful to consider how, for some of these apps, the economic realities of the App Store – not sheer developer negligence – are to blame for their demise. For better or worse, a tiny fraction of human creativity expressed through old iPhone apps and games will vanish with iOS 11. It’s a sad outcome for some. 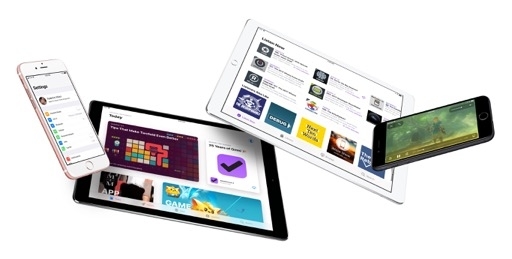 But for the vast majority of users, and to advance the platform forward, it’s Apple’s next logical step. We live in a 64-bit era, and it’s time to move on.